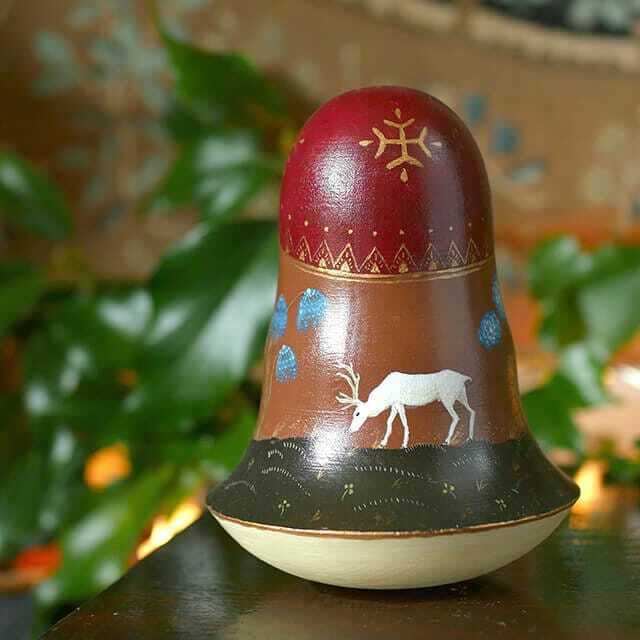 Inspired by the lands of the North, the near silent sound of falling snow and peacefully grazing reindeer. Inspired by the lands of the North, the near silent sound of falling snow and peacefully grazing reindeer. 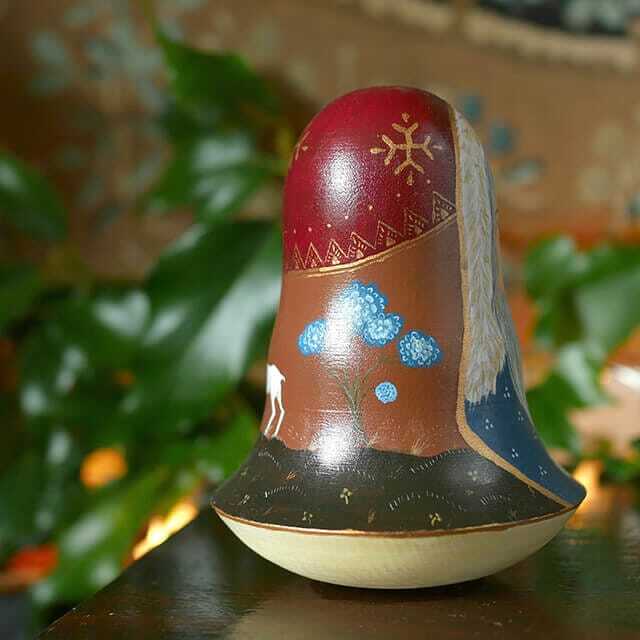 This charming piece is makes a heartwarming edition to any Christmas mantle piece. Limited edition Nevalyashka of only 10 editions. 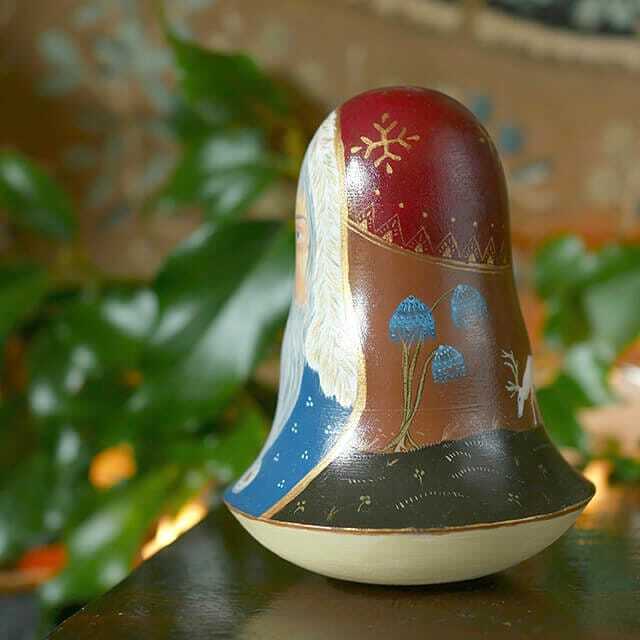 An unusual type of Matryoshka sometimes known as a Chime Doll or Nevalyashka. 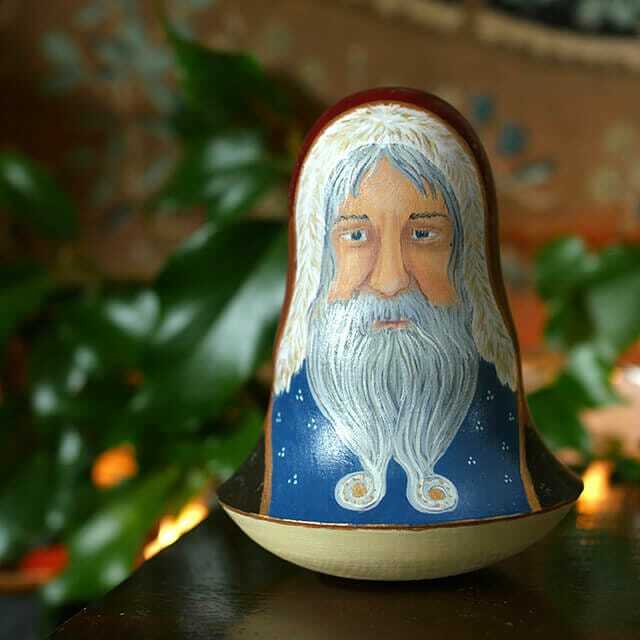 These dolls are imported from Moscow and delicately hand-painted, so no two are the same. Within them is a beautifully mellow sounding bell that chimes gently as they rock from side to side. They are rounded at the bottom and weighted so that they may rock without ever falling over. Now a collectable item, Chime dolls were originally traditional toys. They taught children from an early age to never give up, to stand up after each fall, always look for love, light and recreation. 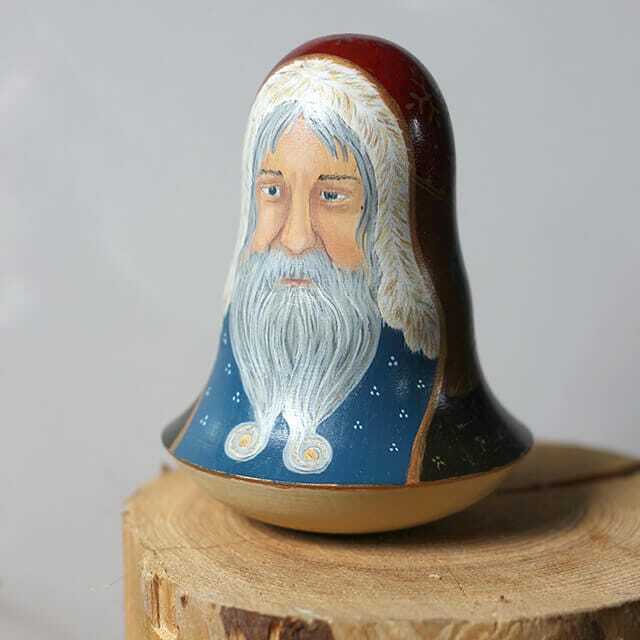 For a more personal touch the Nevalyashkas can be customised or you can commission a completely unique piece. Please feel free to contact us with any queries you may have.